I've been touting young Raffy Mararscio for quite a while on this website, and the kid just keeps getting better and better. He is already a champion in many striking and grappling disciplines, but now he's added to his arsenal the art that many people believe is the best best base for MMA--wrestling. 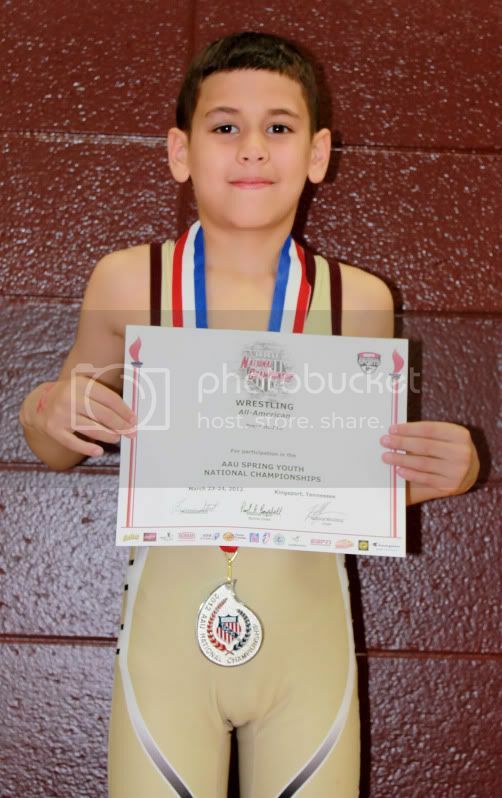 Raffy recently competed and won second place in New York at the USA NY State championships for Greco Roman wrestling and free style wrestling. 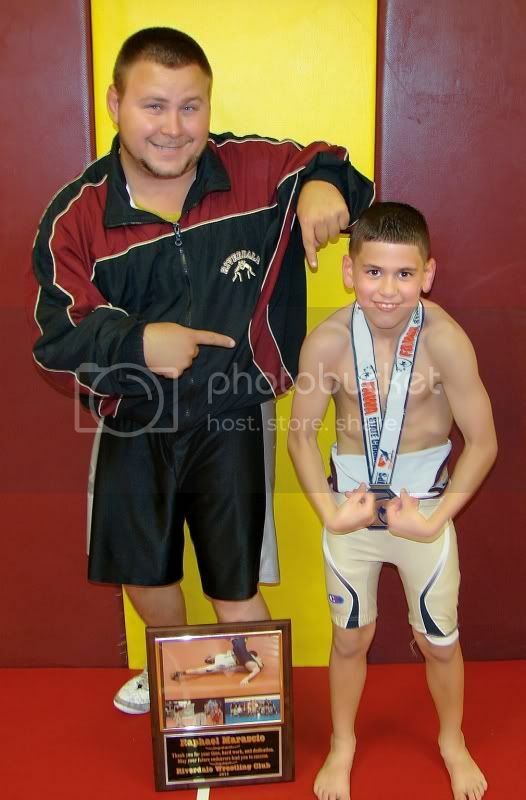 He is now the 2012 USA NY state runner up in both styles for 65 pounds. What makes this truly amazing is that the fact that this is Raffy's first year of wrestling, and going into this tournament he'd only has been wrestling free style and greco for three weeks. 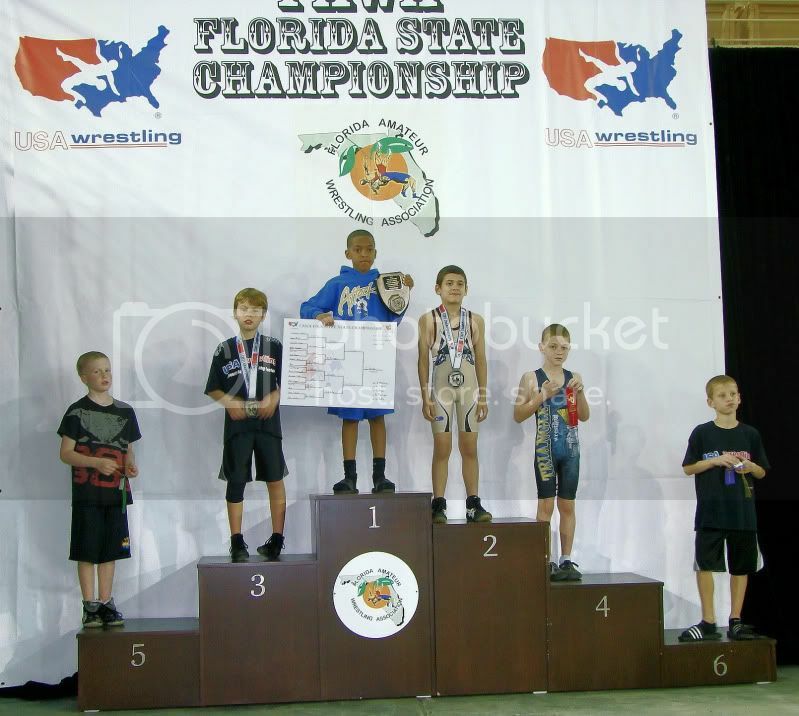 His performance at the state championships earned Raffy a national ranking in wrestling. This accomplishment adds to his already extensive resume. He is ranked number 2 in the country in Judo, and is a champion is many other arts as well. Raphael Marascio is a name you will be hearing a lot of in the future. He is looking ahead to the junior Olympics, and the sky is the limit for this very talented young man. Check out his website and YouTube channel for more info on this rising MMA prodigy. After the jump you can enjoy a couple of recent videos of Raffy doing his thing on the wrestling mat. Keep on eye on this kid, he is definitely going places! If you want to sponsor Raffy, please drop me a line and I will connect you with the right people. Raffy is the future of MMA.